issued approximately 27.83 crore Debit Cards as of March 2018. 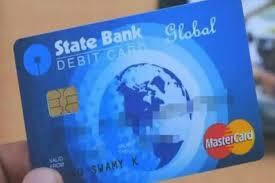 It's market share in debit card spends stand around 30 per cent. However, you may be surprised to know that the bank has been putting restrictions for some customers on the online transactions done by them using their debit cards. Is it only for sbi cards or for anyother else too ?